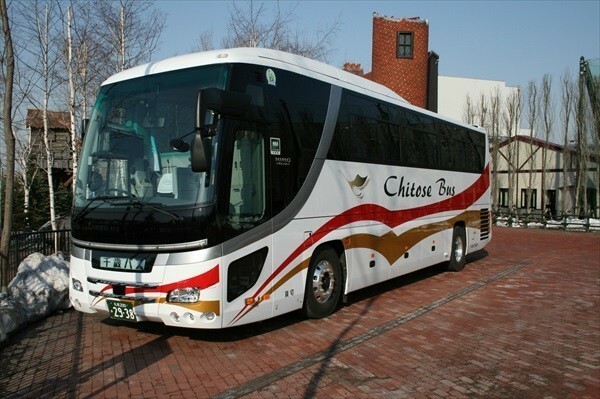 How did I not know about this Eastern Hokkaido bus? Let’s get to it! The following is a quick summary of the Higashi-Hokkaido Tour Bus. １：What is the Higashi-Hokkaido Tour Bus? The Higashi-Hokkaido Tour Bus is a limited-time tour bus which has been operating in Eastern Hokkaido since 2016. 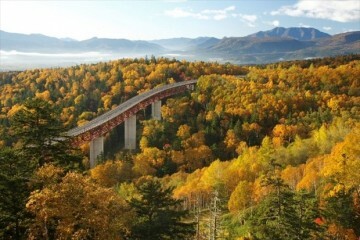 Starting at Sapporo it passes through locations including Sounkyo, Obihiro, and the Tokachi River (autumn only), later arriving at Shiretoko. There are a total of four routes. The service periods are in autumn and winter (around 150 days total). 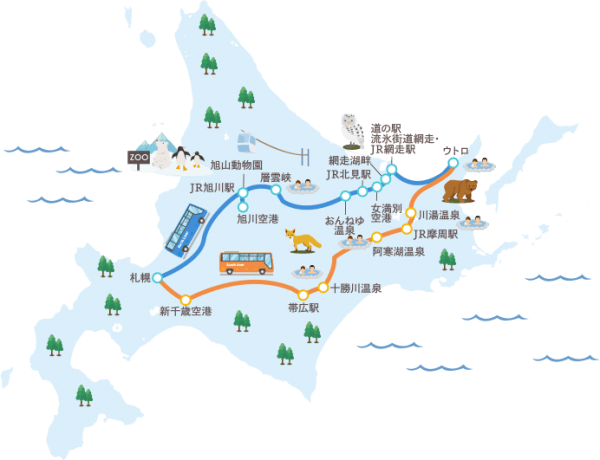 Taking the bus through all routes results in a 900 km loop, making it an efficient way to travel the vast region of Eastern Hokkaido (minimum of three nights, four days). Service times for the Higashi-Hokkaido Tour Bus are divided into two main seasons: autumn and winter. Please note that start and end dates depend on the particular bus. The route sections traveled by the Higashi-Hokkaido Tour Bus are as explained below. All sections feature a complete loop in one day. 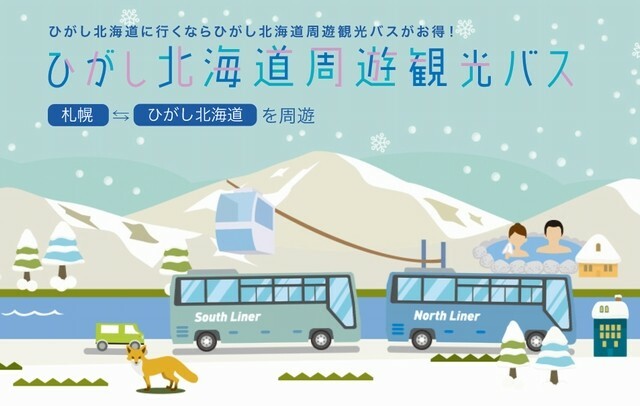 Please note that although the winter season’s three route sections do not include the Sapporo – Obihiro section, there are intercity buses (Potato Liner, Tokachi Milky Liner, Marimo Express Sapporo-go) as well as JR options which provide ample opportunity for traveling the area. The Higashi-Hokkaido Tour Bus operates on a reservation basis. Reservations are easily made at the official website (must be made at least two days prior to the bus date, 5 p.m. cutoff). Payment can either be processed by credit card or settled at a convenience store (reservations in Japanese only). Once you reserve online, all you need to do is get on the bus. It’s that easy! The Higashi-Hokkaido Tour Bus is an operation run jointly by several Hokkaido tour bus companies. For the most part, the buses used are medium-sized and offer a comfortable interior. The bus includes WiFi. Staff (other than the driver) also ride on the bus, giving you peace of mind. 1. 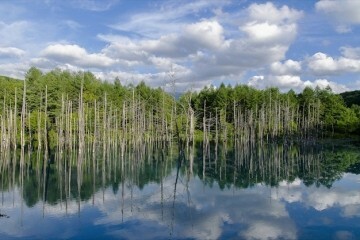 For legal purposes the Higashi-Hokkaido Tour Bus operates in the form of a day trip tour. 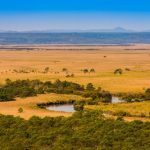 Therefore, cancellations made within ten days of the date of departure will result in a cancellation fee. 2. As a condition of using the Higashi-Hokkaido Tour Bus, those riding the bus must provide evidence of lodging within the Eastern Hokkaido and Northern Hokkaido areas. Proof of lodging may come in the form of an itinerary, lodging coupon, reservation confirmation screen, etc., and must be provided upon entering the bus. 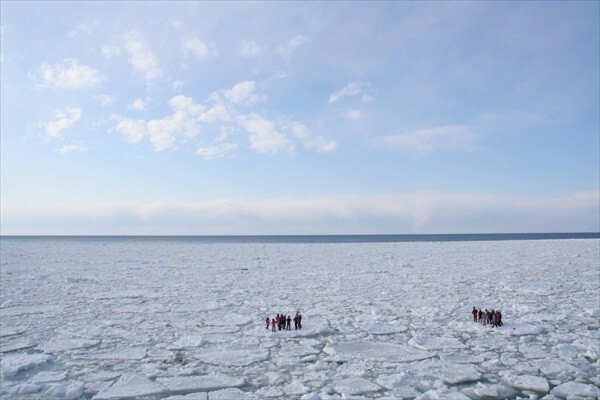 The drift ice of Eastern Hokkaido is certainly among its top winter season highlights. The bus schedule allows ample time for a trip aboard the Aurora from Abashiri Roadside Station. Operating time: January 20 – undecided day in March. ※Boarding fees are paid at the actual location. Reservations highly recommended. This open air museum preserves and showcases Abashiri Prison, which has a long history starting in the Meiji era. Take a deep, interesting look into the prison which was said to be the most severe in all of Japan. The above image is a reproduction of what bathing would have been like when the prison was active. 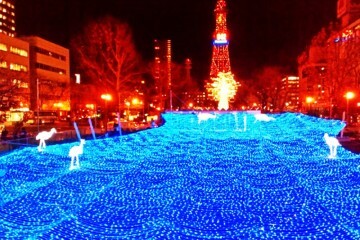 This famous event colors the cold winter of Sounkyo. 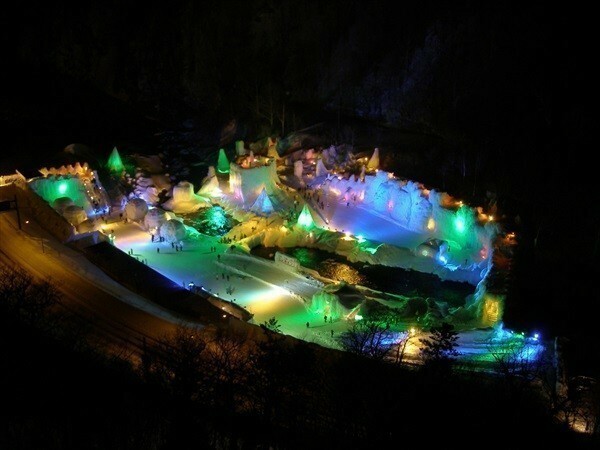 Lights are cast upon large ice sculptures which take on a truly magical beauty. 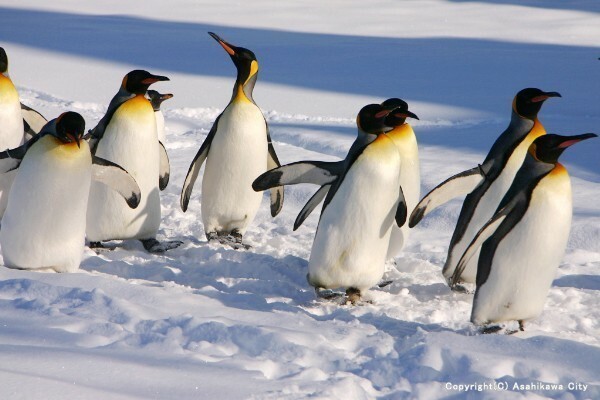 Asahiyama Zoo’s winter specialty is the “Penguin Parade.” It’s a different kind of fun from the summer season. Look right here for the fun that comes out of Shiretoko being covered by drift ice in the dead of winter! 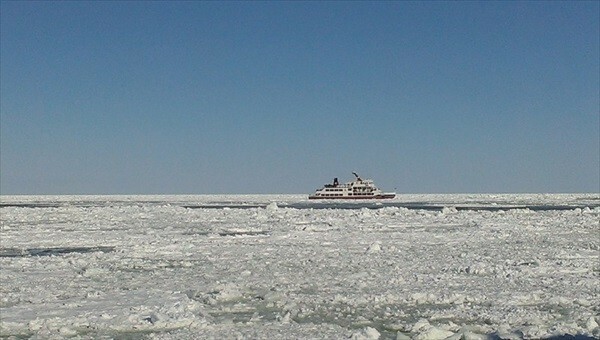 Enjoy getting on top of the drift ice and even falling into the ocean. This can only be experienced in Shiretoko! 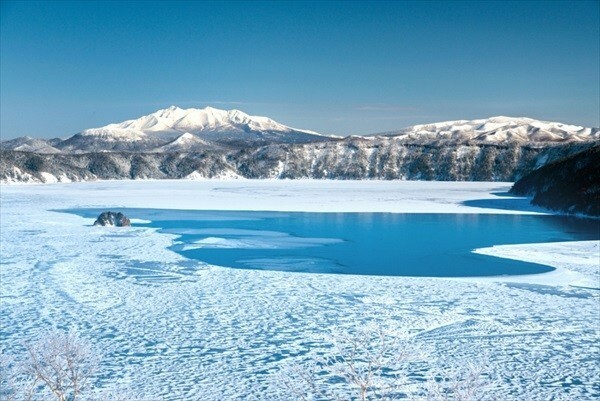 From mid-January to March, Lake Mashu is covered by a beautiful sheet of ice. The early stages of freezing in particular might offer you the chance to see the fantastic sapphire blue seen above. 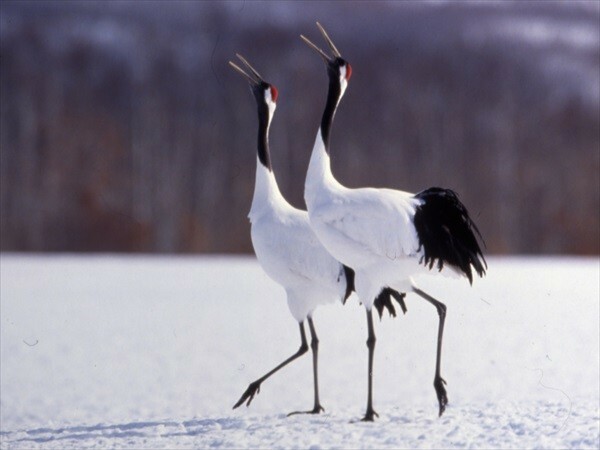 The Japanese red-crowned crane shows its beautiful figure amidst the vast, white landscape. On some days in winter it is possible to see flocks of 300 cranes. 3：Have even more fun with the Higashi-Hokkaido Express Bus during winter! From January 30 to March 11 (during which the Higashi-Hokkaido Tour Bus operates on its winter schedule), the Higashi-Hokkaido Express Bus also operates, offering 13 routes which cover many sites in eastern Hokkaido. You may transfer to the Express Bus at any point. This expands activity and time options considerably. Places you can visit via the Express Bus include Monbetsu (where you can board icebreaker ship Garinko-go II), Rausu (where you can enjoy the sight of sea eagles upon the backdrop of drift ice), Notsukehanto (known for scenes of endless ice known as the ice horizon), and Shibecha (where you can board a limited-time SL train). 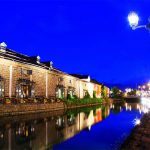 Anybody interested in traveling to Higashi-Hokkaido during winter should check out all the details! That’s about it when it comes to introducing the Higashi-Hokkaido Tour Bus! 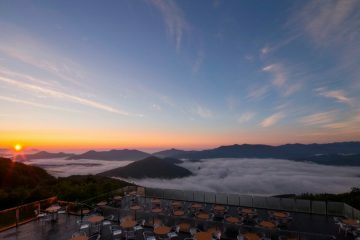 For many people, one trip is all it takes to fall in love with the depth which Higashi-Hokkaido has to offer. 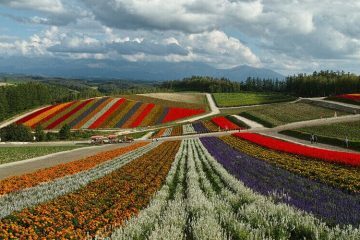 ※The Higashi-Hokkaido Tour Bus is a fully authorized tour bus service with full proof of authorization by the Minister of Land, Infrastructure, Transport and Tourism and the Asia-no-Takara Road to Eternal Natural Beauty Higashi-Hokkaido wide-area sightseeing excursion route.